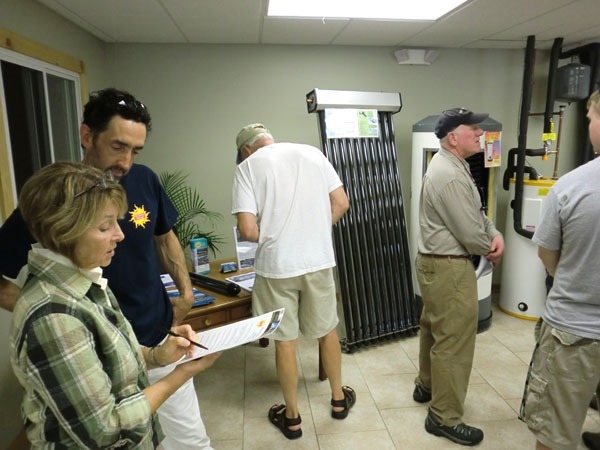 Our Exeter, NH solar showroom filled during our June’s grand opening. Join us for and after hours meet and great with Plan NH on Wednesday, January 11th at our Exeter area showroom. Plan NH is an organization build to foster excellence in sustainable planning, design, and development of the built environment. Members include builders, architects, engineers, designers and contractors throughout New Hampshire. Come out and meet ReVision Energy staffers and local leaders in sustainable development. The event is $25 for non-PlanNH members (contact us to have ReVision Energy cover your admission). Light fare and beverages served.